I missed the mark this year. I planned to start blogging with the turn of the clock to 2015. As happens on a regular basis life got in the way! I hope that each of you brought 2015 in with your own special flair and attention to a new year, a new start and hopes of a great year to come. January has already passed the halfway mark, and we’ve all experienced many cold, cold days for the typical San Antonio winter we all usually enjoy. It’s nice the weather finally made a change back this week to what we typically see this time of year…60’s and maybe 70’s and lots of sunshine. You don’t realize how much you miss it until it’s gone! Just a quick reminder that many of you are receiving your backflow regulator notices in the mail this week as SAWS has begun distributing them to property owners with a regulator on their property. Be sure to get your testing scheduled with one of the many testers provided on a list sent along with your notice by SAWS or with another tester you may already be working with. We have used American Backflow successfully for several years now. 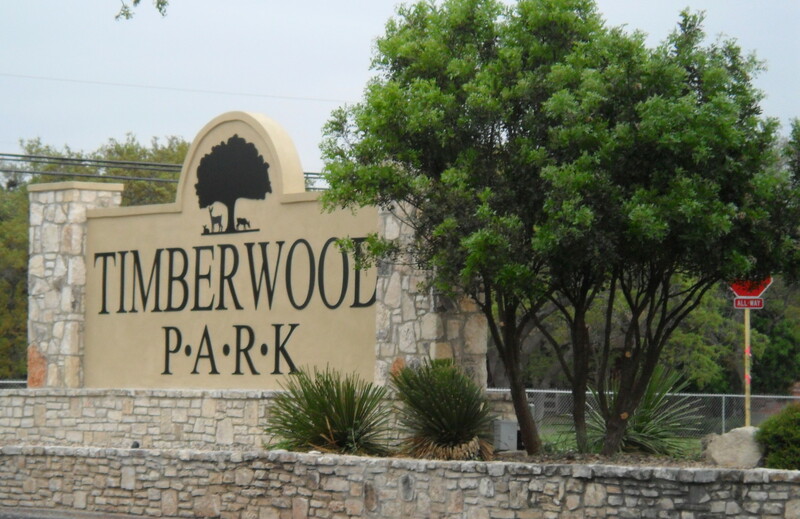 The annual HOA board election in December for Timberwood Park brought out approximately 10-15% of our voting population to provide a decision regarding who will govern our development for the coming election cycle. Voting in this election is your right. Voting determines who will be in charge of our assessment dollars and how they are spent, the management of our common areas, development oversight, social events and activities and so much more. While those who voted let their voices be heard, they also provided the decision for the silent majority who for any number of reasons didn’t cast a vote. Whether it was a lack of time to get to the voting place, the absentee ballot didn’t get sent back in, the voter didn’t feel it was important to vote in this local election, or didn’t think their vote mattered, the majority didn’t vote. Some might say that this is a reflection of the fact that most property owners feel like things are running well and everyone is generally happy with the management in place and that’s certainly one possibility. Another possibility might be that perhaps the silent majority feels like they are not heard when they voice a complaint or have a concern. Perhaps the silent majority feels dismissed because they present a differing opinion or position on a particular matter or issue but are told that the elected officials will make decisions as they see fit because they were elected to. Whatever the reason, allowing 10-15% of the voters to decide what works for 100% seems like taking a big risk with your rights. Please be sure to cast your vote when the opportunity is presented whenever possible! I hope each of you will attend as many of the meetings this year as you can fit into your schedules. The newsletter listed each of the HOA meetings for 2015 leading up the annual meeting — Feb 3, Apr 7, Jun 2, Aug 4 and Oct 6. These dates are opportunities for you to participate in the management of our development and let your voice be heard regarding choices being made on how your assessment dollars are spent, what improvements are made to our common areas, what programs are added or deleted in the social arena, and more. They are also an opportunity for you to see how the board makes decisions and hear about progress on many of the projected and/or scheduled improvements planned for the coming year. We have made much progress managing our own affairs and determining how best to spend our HOA monies appropriately on behalf of all property owners. There’s always room for improvement and there’s always an option to move status quo in new directions. Be involved wherever and whenever you can and be sure to let your voice be heard. You are the best advocate for your rights and the things you feel are important! Stay in the know by attending the meetings and providing feedback. Be an active part of your neighborhood!